Robots are on our radar right now. I am working on bringing some really neat robot stuff to the website because robots are a perennial boy favorite. Plus, memory games have always been a favorite in our house. We happen to have quite a few of them. Before we get to play the game, we have to make the game. I wanted to share my all time favorite, bestest (that is a word, right?) ever, paper cutter. This is so handy. I keep one nearby at all times. It is sooo easy to use and there is no big scary cutting blade to deal with either. It cuts like a dream. Plus, if a paper cutter can be pretty, this one is! You will want to print on card stock (this is the cardstock that we recommend ) so the pictures on the front don’t show through and your game lasts longer. Print two copies each of the front and back memory game printables. 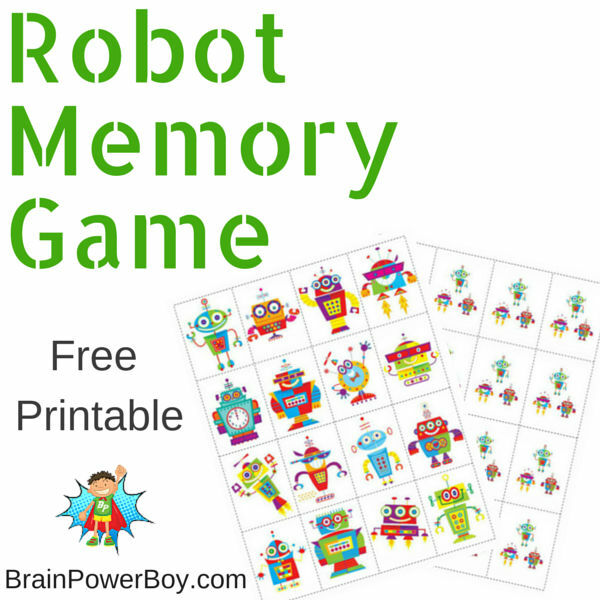 Download and print robot memory game. <<<<<<click link to download your game. After printing, glue them together with the printed sides facing out on both sides. Wait for glue to dry. I usually let mine sit overnight. Carefully cut apart on the lines. 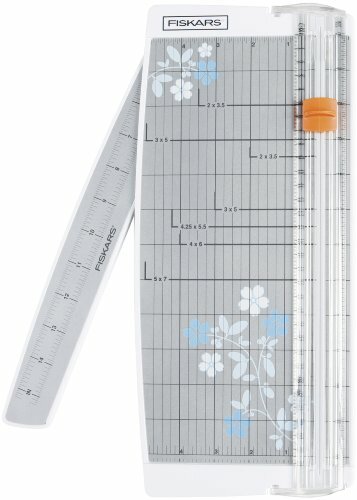 I am in love with this paper cutter and it is what I use instead of a scissors. 1. Turn all of the pieces so the big robots are facing down and the little robots are facing up. 2. Place your pieces in a grid. 3. On each turn a player turns over 2 pieces. If they make a match they get to keep the pieces. You can either play that if you make a match you get to go again or just go back and forth between players. 4a. Player with the most matches wins. 4b. Or play cooperatively and work as a team to make the matches together. 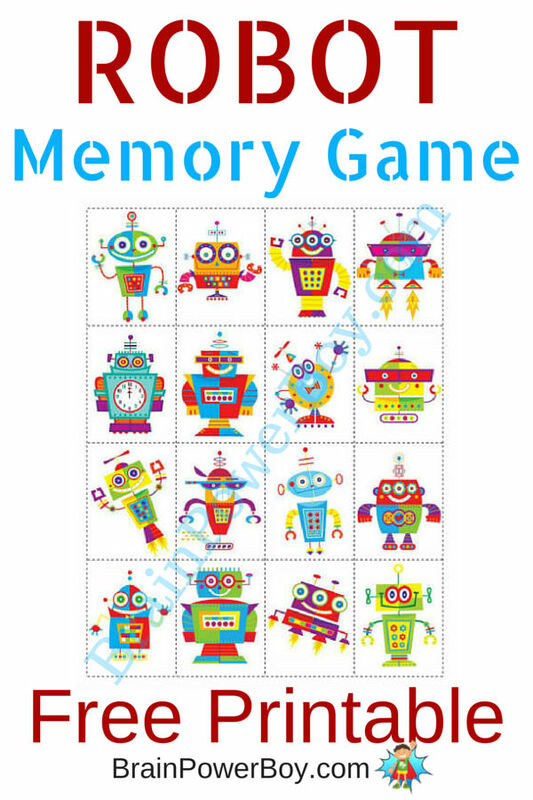 I hope you enjoy this cute robot memory game and have a lot of fun playing together as a family. Time together is so important. Playing games can help make memories your kids will never forget. If your child loves robots be sure to visit our Homeschool Unit Study Robots – there are a lot of fun things to do included there. Unit studies are Not just for homeschoolers! If you like this game please share it on social media using our sharing buttons below. That lets me know you would like me to make more printable games for you! Thank you. These robots are so cool. My boys will love them. So happy to hear that Rebekah! Have fun playing. You are most welcome Rebekah. I am so glad to hear your boys will enjoy the game. We have 2 robot lovers at home. I should try try this, for more added fun. I think my grandson would love this! Very cute! Thanks Jann–I hope you enjoy playing it together. I love making DIY puzzles and matching games for my boys to help build their vocabulary. This one is so cute because of the colorful pictures. Since we don’t really have many books or toys that deal with robots, I would love to introduce them to this game to get them thinking. Thanks so much for letting me know what you are going to do with them Jennie. It is always fun to get mail! I hope he likes them. This is so cute! I was actually thinking of doing a robot party for my son’s first birthday and this would be a fun game for the older kids! A robot party sounds like a ton of fun 🙂 I hope they enjoy the game. This is a cute resource, and I will definitely be sharing it. Thanks Marisa! I really appreciate your willingness to share it. This is so cute! Thank you!! Glad you like it Starla! You are most welcome. I know my kids will love these. We are in need of a new game. Our last one has been so loved we are missing several of the matching pieces! Looking forward to printing and laminating these! Pinning too! Thanks for linking up at #WeLoveWeekends. My girls love robots and matching games too! My 4 year old son has been wanting to do a lot of activities that involve cutting and puzzles lately. He will love this. Thanks for sharing! Great Vicki. So glad to hear he will enjoy this–including the cut and paste part! you really have the coolest games for boys!! Thanks for sharing at our FB Share Day! I have just found your sight and just fell in love with your robots 🙂 I am a preschool teacher looking for new games to engage some of my boys and know that they will love this – but I can’t get it to download Do you have any suggestions please? Thanks Penelope. I am so happy to hear that you like the robot memory game. I hope you will find a lot of things that will engage your preschool age boys. 🙂 Thank you for stopping by. Sorry you had some trouble with the download. I’m glad you were able to get it working. Usually it is a bit beyond my control as it has to do with printers and settings on the user end but if you ever have any other difficulties, do let me know and I will try to help.